I finished the machine quilting on the Nova Nouvelle design by Jinny Beyer. I could not resist posting a few pictures. When I complete the binding, I will post a full view. Feathers in the cream colored setting triangles. 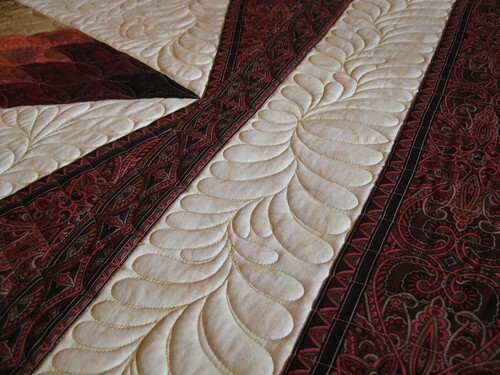 Piano key quilting in the wide border print outer border is visible in this shot as well. Feathers in the gold-colored corner setting triangles. Quilting following the fabric pattern in the narrow border print is visible in this shot as well. 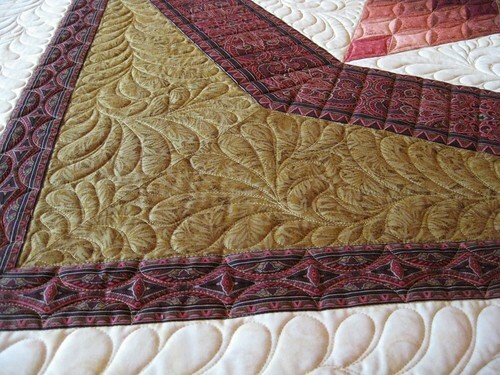 This entry was posted in Nova Nouvelle, Quilting. Bookmark the permalink. Oh my God, Joyce. It is GORGEOUS ! ! ! ! Another awesome quilt by you ! ! I can’t wait to see it up close and personal. Thanks, Marlene. I will show it at our meeting Monday. Goodness gracious. 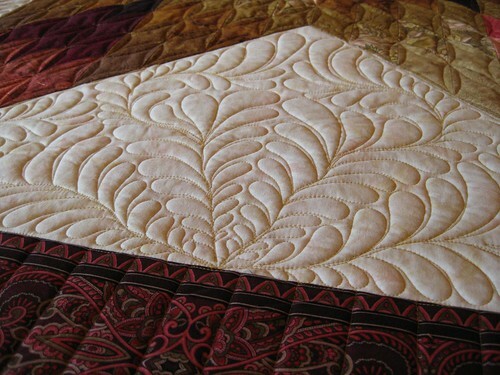 Your quilting is just so beautiful!!!! You could make a plain piece of fabric look like a work of art!!! I wish you lived near me. 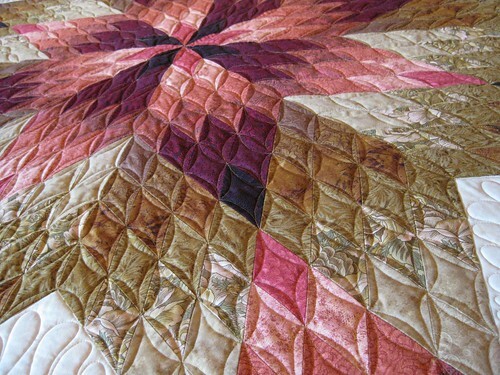 I would wear you down to do one of my quilts! LOL!!! !